A government proposal would replace SNAP benefits with a box of groceries. RANKIN, Pa. — Finding fresh food in this tiny riverside community that was hit hard by the steel industry’s decline has always been a challenge. Then, seven years ago, Carl’s Cafe opened. The grocery store, near new government housing, offers cooking classes and a source of fresh, healthy food. Proprietor Carl Lewis even has customers sign a pledge: If he provides fresh produce, they’ll buy it. Five such purchases, and they get their sixth free. 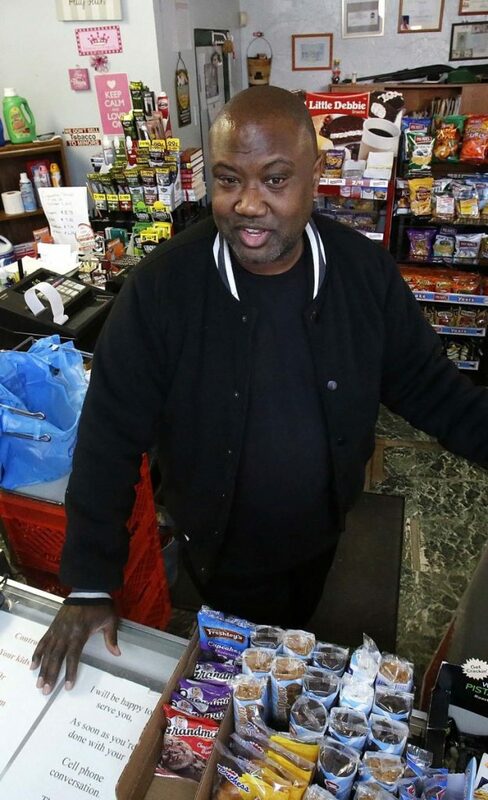 About half of his customers pay with benefits from the federal Supplemental Nutrition Assistance Program, so the government’s proposal to replace the debit card-type program with a pre-assembled box of shelf-stable goods delivered to recipients worries him and other grocery operators in poor areas about their patrons’ nutrition, and their own bottom line. “If half of your business goes away, it’s going to hurt,” Lewis said, noting that if SNAP spending benefits are taken away, so will recipients’ ability to participate in programs at his store. The idea called “America’s Harvest Box” was floated in February in the Trump administration’s 2019 budget proposal, tucked inside a plan to slash SNAP by roughly $213 billion, or 30 percent, over the next 10 years. Households that receive more than $90 in SNAP benefits each month – roughly 81 percent of households in the program, or about 16.4 million – would be affected. Brandon Lipps, administrator for the Agriculture Department’s food and nutrition service, said in an interview last week that he wants retailers to play a role, and stressed that SNAP recipients would still receive 60 percent of their benefits in cash to spend at grocery stores.